If you’re looking for a quick, filling easy Irish dinner…Dublin Coddle is where it’s at. A traditional Irish stew, this coddle is layered with potato, bacon and onions and slowly cooked over hours in the oven. So basically, it’s heaven in a pot. 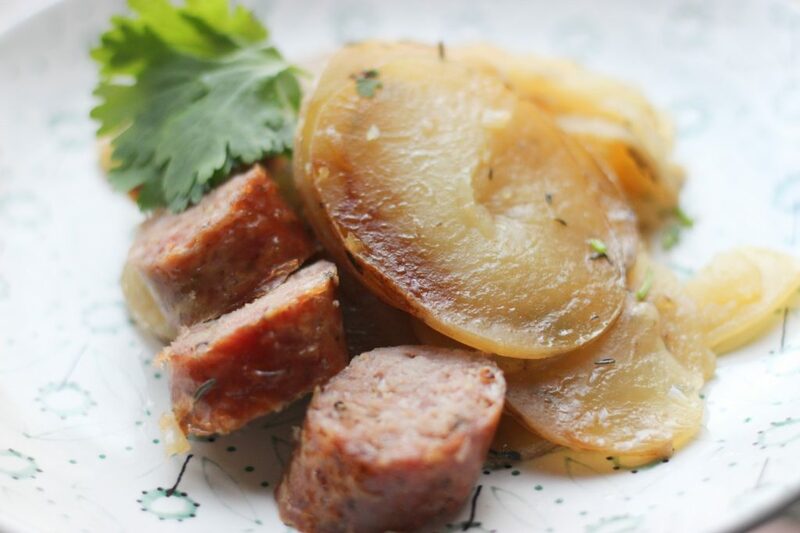 Coddle dates back to the 1700s and was traditionally cooked during winter months in the city. It’s been said that the reason it was so popular was the fact that a wife could easily go to bed and leave it simmering on the stove so that it was ready when her husband came home from the pub. This dish is one pot cooking at it’s best. Just layer seasoned potatoes, onions and bacon and top with sausages. Let it slow cook for hours and you have a Dublin Coddle. There are a few substiutions you can make to customize to make it your own. We used Robbie’s Gourmet Sausage Co Irish Boilermakers in this recipe but you can use any high quality pork sausage. Instead of the full amount of broth, substitute your favourite stout beer for half the amount. I used red potatoes here, but you can easily use a russet or yellow potato. 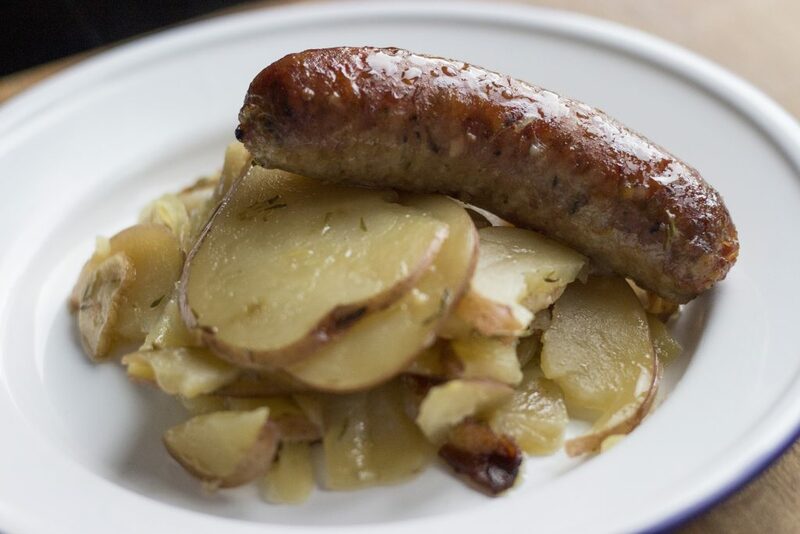 You can even slice up the sausages and layer them in with the potatoes. However, you do it, it’s simple and soooooo delicious! Make sure you have crusty bread on the side to dip into that broth! Preheat oven to 300F. Heat an oven proof Dutch oven over high heat. Add the bacon and cook until crisp. Remove the bacon and allow it to draw drain onto paper towels. Once the bacon has cooled, chop into small pieces. Set aside. Add the sausages to the pot and cook on each side until brown. You don’t need to cook them through as they will be cooking in the oven. Remove sausages from Dutch oven and set aside. In a bowl, add the sliced potatoes and season them with salt, pepper and thyme. Add a layer of the seasoned potatoes to the dutch oven, then a layer of onions, then a layer of chopped bacon. Repeat until you’ve used the remaining ingredients. Pour the broth over the layers. Add the bay leaves. Add the sausages on top. Place lid over the Dutch oven and bake in the preheated oven for about 3 hours or until potatoes are tender. Forget bangers and mash, Dublin Coddle is where it’s at! Tags: Hot Topic Recipes St. Patrick's Day	Robbie's Gourmet Sausage Co.